Ukrainian parliament deputy, Strong Ukraine party leader Sergiy Tigipko has called for keeping radicalized forces which hamper the achievement of national unity off political activity. "It is time to keep off radicals: nowadays radicals are worse than any aggressor; they break our unity and do not let us unite the country. And a divided country is a weak country. 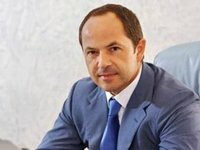 It will be strong when every citizen feels oneself comfortable," Tigipko said in an interview with Interfax-Ukraine. He said the country's unity would be a token of the political resolution of the conflict in eastern Ukraine. "First and foremost, we will achieve the unity only when we recognize our diversity. We will never be fully united without this recognition and it will be very easy to drive a wedge between people - our country is too large and our historical formation has proceeded in completely different ways," Tigipko opined. The Ukrainian diversity should be recognized with institutional transformations, among them a regional reform, which can be held without an adjustment of the constitution, he said. Besides, the Strong Ukraine leader deems necessary the soonest completion of a tax reform, which the government is just about to start although "the same [measure] was suggested six months ago." Tigipko also called for social and cultural de-centralization. "No one should tell a region which language to speak and which monuments to erect or to dismantle. No one should hinder a region making good money from paying extra to their teachers and doctors," he suggested.